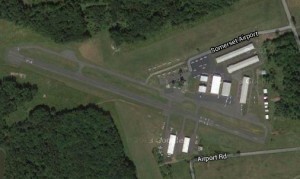 Somerset Airport is a family owned and operated public use airport since 1946 located in scenic Bedminster, NJ. We offer a full range of aircraft services as well as flight school, an on-demand charter operation and maintenance facility. * Fee is waived with purchase of 75 gallons or more. Hangars and Tie downs – Somerset Airport has individual “T-hangars,” open bay hangars, and individual tie downs available for temporary and permanent basing of aircraft. For prices and availability call (908) 722-2444. …available through our maintenance shop. At the end of World War II George Walker felt the time was right to build an airport in Bedminster, NJ. His search for the right piece of property led him to a farm owned by the Bedminster Township attorney John Beekman. George Walker and John Beekman began the laborious task of turning a 200 acre farm into an airport. One day when George was out clearing stumps a young man, just out of the service, came up and asked him what he was doing. George replied, “I’m building an airport.” The young man grabbed a shovel and said he would like to help. That is how Sam Freeman became a third partner. George was able to have Gill Robb-Wilson, first head of the New Jersey Bureau of Aeronautics and founder of the Civil Air Patrol, layout three runways for him. Beekman helped George put up the first hangar, a large cinderblock structure. The second structure on the field was a barracks they bought at Newark Airport and hauled to the Bedminster site. The airport opened its doors to the public in 1946. One of the airports earliest missions was training former military pilots for Pan American World Airways. When the military pilots were discharged, they did not have their civilian licenses. Somerset trained 235 pilots for Pan Am. George Walker and Sam Freeman, along with Marie Walker (George’s wife), continued to run the airport together until Sam passed away. George bought out Beekman’s interest in the airport. The Walker family became sole owner and operator of Somerset Airport. 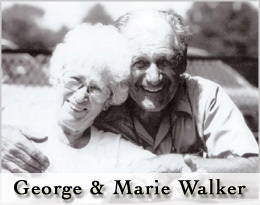 The airport was renamed George Walker Field on May 19, 2001, a year after George’s death on January 7, 2000. George was well into his 90’s. Most of his years were spent living and breathing aviation. 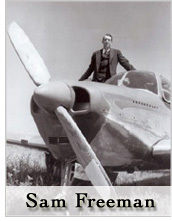 He introduced many people into the world of flying. Today the airport remains family owned and operated. George’s family are all still active in the business. The airport has grown over the years. There are now 8 hangers and it serves as home base for over 150 aircraft. Somerset Airport continues to have a very active flight school and charter operation. Our maintenance facility, located on the field, provides airframe and powerplant repair service for nearly all piston aircraft. With each new project the airport continues to grow. Somerset Airport along with all past, present and future employees has made flight dreams come true and will continue to touch the lives of aviation enthusiasts for many years to come. Obstructions: 55 ft. trees, 210 ft. from runway, 150 ft. right of centerline trees in transition surface at THR mainly at north side. Obstructions: 62 ft. trees, 210 ft. from runway, 245 ft. right of centerline APCH ratio 20:1 to DSPLCD THLD. + 10ft private road 80-200 ft TM THLD 125 ft L.
Runway Edge Lights: RWY 08/26 550 ft west end unsuitable for takeoff or landing due to uneven surface. Doylestown 060/27.0 237 10W DYL -.. -.– .-..
Lakehurst 349/38.1 396 13W NEL -. . .-..